LAS VEGAS, Nev. – Latinos are expected to make up nearly a third of the U.S. population by 2050, according to Census projections. So conservation groups want to ensure that Latinos stay engaged in environmental stewardship. Latino Conservation Week starts this Saturday, and aims to bring these communities outdoors and showcase Latino-led environmental efforts. Polling from Colorado College shows Latinos in Western states overwhelmingly support protections for public lands and wildlife. But Jenny Brandt, deputy director of conservation programs with the Hispanic Access Foundation, says their contributions to stewardship don’t always get recognition. Latino Conservation Week runs through July 22. Environmental groups, churches, and community organizations will host events at public parks, wildlife refuges and other natural areas around the country. Find events online at www.latinoconservationweek.com. Latinos are often underrepresented in environmental professions, and in visiting public lands. The National Park Service estimates only about one in 10 of its visitors is Latino. 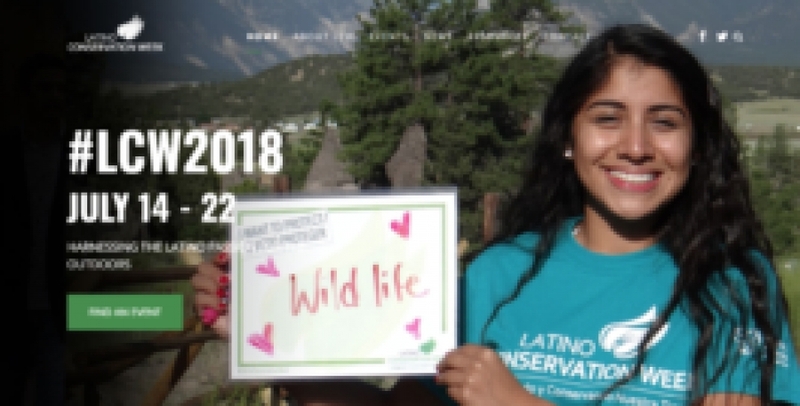 But after four years of growing participation in Latino Conservation Week, Brandt says she’s seen how simply introducing people to the natural resources in their area can make a big difference. “Once we get a group out to a local park or a local refuge, and they learn about these resources that are really close to them, but that they might not have had knowledge about, they continue to go back to those places and they really become stewards of those places,” says Brandt. Events in Nevada include a picnic at Spring Mountain Ranch State Park on Sunday, a party hosted by local nonprofits in Las Vegas on Monday, and more. Clark County commissioners, at next week’s meeting, are scheduled to recognize July as Latino Conservation Month.